Carol Bulman, daughter of the late Jack Conway, wants to capitalize on growth opportunities in the city. The late Jack Conway built his real estate empire into the state’s largest independent brokerage by focusing on the suburbs. But now his daughter wants to capitalize on growth opportunities in the city. 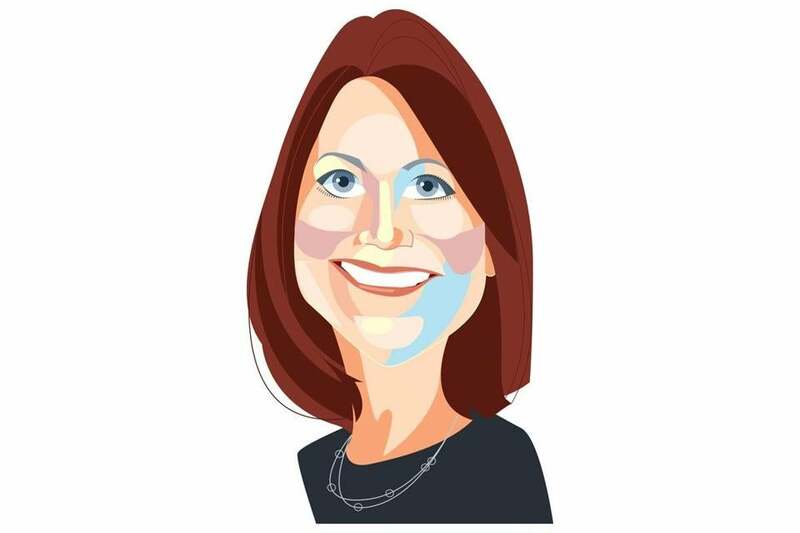 Carol Bulman, CEO of Jack Conway & Co., is on the hunt for new offices in Boston. The Norwell-based agency already has four: two in South Boston, on East Broadway, and in Fort Point, as well as in Dorchester and West Roxbury. The Fort Point office is relatively new: Bulman hired local broker Jay Rooney to open it about a year ago. The firm’s Boston offices are being christened Jack Conway Cityside. The two Southie locations already have the name. Dorchester and West Roxbury are due to be changed in 2018. Bulman says she’s considering other urban locations, including East Boston, Charlestown, the South End, and Somerville. She plans to pull the trigger only if she has the right person or team lined up with strong local ties. “It’s the way to open up in a successful and meaningful way, rather than just ‘build it and they will come,’ ” Bulman says. Bulman took over for her father as CEO in 2009. At the time, they had offices in Southie and Dorchester but were primarily focused on markets south of Boston. The following year, the company expanded “Conway Country” to the North Shore by opening an office in Swampscott. As part of her current Boston push, Bulman wants to build up the firm’s commercial real estate business. Toward that end, she joined the Greater Boston Chamber of Commerce and has hired McDermott Ventures, led by Pam McDermott, to help make connections. Hawthorne owner Jackson Cannon likes to have book parties at his swanky cocktail bar in the Hotel Commonwealth. Often it’s for liquor-themed books, but on Wednesday he’s hosting a gathering to celebrate a volume on American history, written by his older brother, Carl Cannon. The book, “On this Date: From the Pilgrims to Today, Discovering America One Day at a Time,” features events that took place each day of the calendar year, drawn from the “Morning Note” column Cannon writes for RealClearPolitics. Jackson sees a strong correlation between what he and his brother do for a living, namely a shared “appreciation of the cultural history of America,” he said. For Jackson, the American story revolves around tavern culture, and, of course, cocktails. Along with being the owner, Jackson is also the bar director at the Hawthorne, as well as at several other restaurants nearby, including Eastern Standard and Island Creek Oyster. He and several colleagues formed the Jack Rose Society to preserve the legacy of the American cocktail, and he serves as a judge for several industry competitions. He even has a bar knife named after him. The book party will feature a Q&A moderated by Ben Bradlee Jr., a former Boston Globe editor. (Bradlee’s father was the editor at The Washington Post when Lou Cannon was a White House correspondent there, and Carl and Ben are lifelong friends). Jackson also plans to feature a drink called the periodista — “journalist” in Spanish — a Boston favorite made with rum, apricot liqueur, Cointreau, and lime juice. When Jennifer Weissman, chief marketing officer of the Boston Ballet, sought to create ads for the annual staging of “The Nutcracker” this holiday season, she turned to brain science. Working with Nielsen’s consumer neuroscience lab, the ballet came up with questions to ask viewers who were shown prospective ads. Nielsen used eye tracking, biometrics, and facial expressions — especially smiles — to assess the ads. Dr. Carl Marci, chief neuroscientist at the lab, said consumer neuroscience is becoming more mainstream. He said smiles came to people’s faces as “Nutcracker” characters flashed on screen. “If no one smiles during the ad, you have a problem,” he said. Once the lab compiled its findings, Boston Ballet edited the ads, Weissman said. The new ads have fewer scenes and the end cards — with information on tickets and performance dates — have been streamlined. “The Nutcracker,” which draws 90,000 people each season, is “what keeps us running,” Weissman said. Newton-Wellesley Hospital is stepping out of the shadows of its bigger siblings: Massachusetts General and Brigham and Women’s. The Newton hospital’s leadership crafted an ad campaign that focuses on its innovative approaches to health care and its efforts to personalize service. Vice president John Looney says the hospital has never done a campaign of this magnitude before. He began working on it soon after joining the hospital in February. (It’s worth noting that the CEO, Michael Jaff, is relatively new, as well.) The hospital hired Franklin Street, a Virginia health care brand consultancy, to lead the initiative. The campaign began in late October in print and on TV and radio. It will run through the end of the month, Looney says, and will likely be revived in the spring. “We’re putting a stake in the ground [to say] we’re changing the way we deliver health care,” Looney says. The campaign doesn’t hide the fact the hospital is part of Partners HealthCare, the state’s largest hospital group. Looney says that’s intentional: His coworkers are proud of their ties to Partners. But he also says that the hospital leadership decided it was important to create a brand that stands on its own.